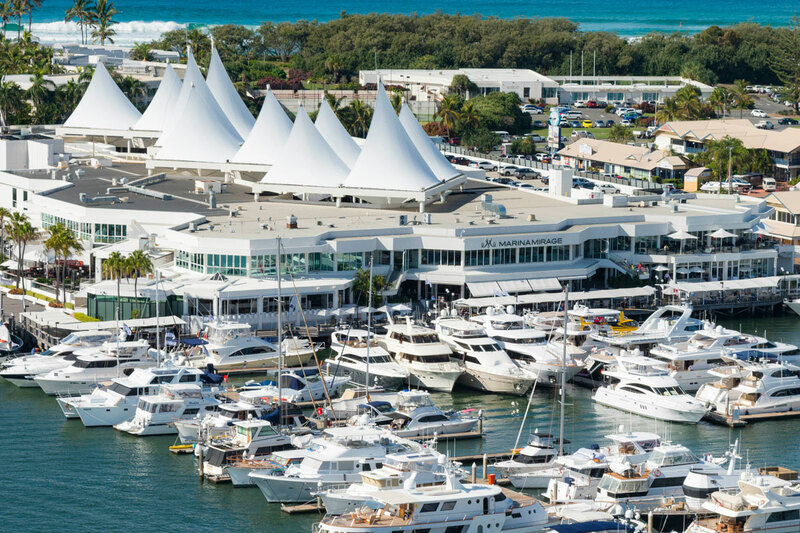 Experience the romance of Monaco, Gold Coast style, at Marina Mirage Marina. 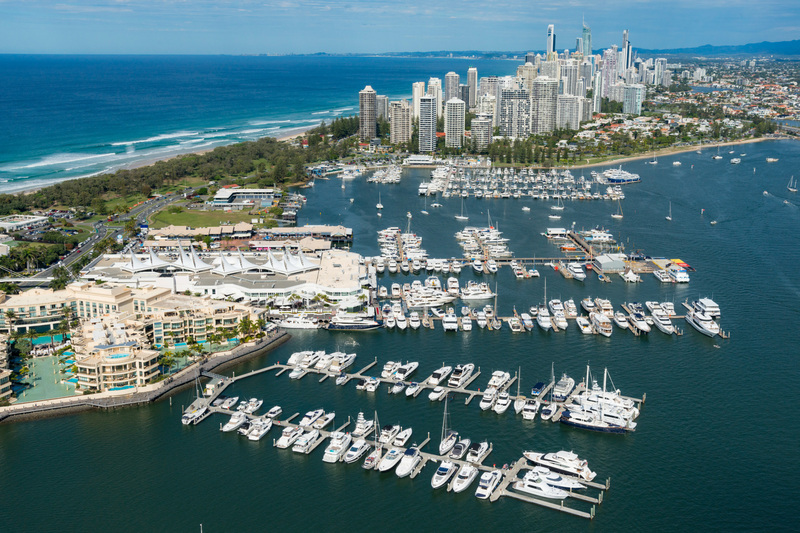 The sparkling jewel of the multimillion-dollar Marina Mirage development, the Marina lures yachties and dreamers alike with deep-water access on the beautiful Broadwater, just minutes from the Gold Coast Seaway. Launched in the late 1980s, the floating Marina epitomised all the opulence of the era with 87 berths showcasing an array of the world’s finest super yachts and cruisers. Visitors can indulge in al fresco dining at a range of superb waterfront restaurants, or simply take in the spectacular views with a leisurely stroll along the promenade. 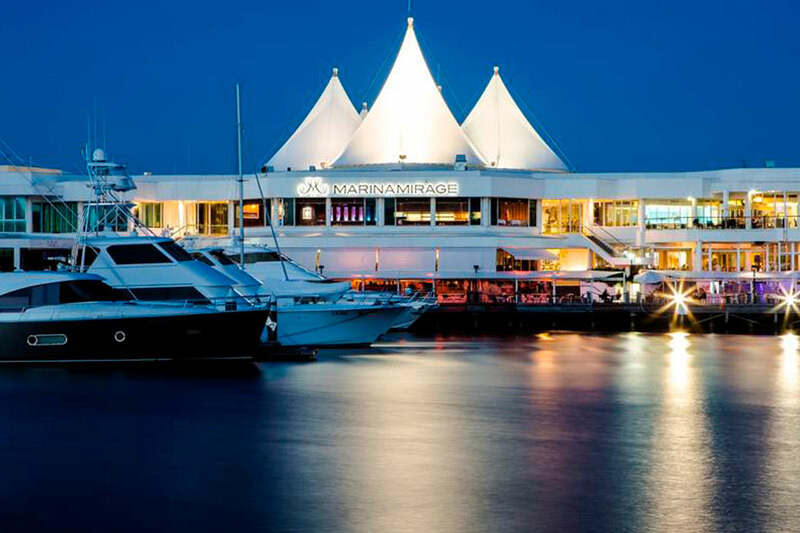 An iconic destination for a stylish local set as well as international tourist landmark, Marina Mirage Marina is an attractive prospect for tenants, featuring a mix of luxury cruise and tourism businesses along with leading marine operations. Current tenants include AMT Marine Luxury Boat Brokerage, Geoff Lovett International, Gold Coast Helitours, Jet Boat Extreme, Circa II , Aki II , Sailing in Paradise, GC Cruises, and Paradise Fishing. 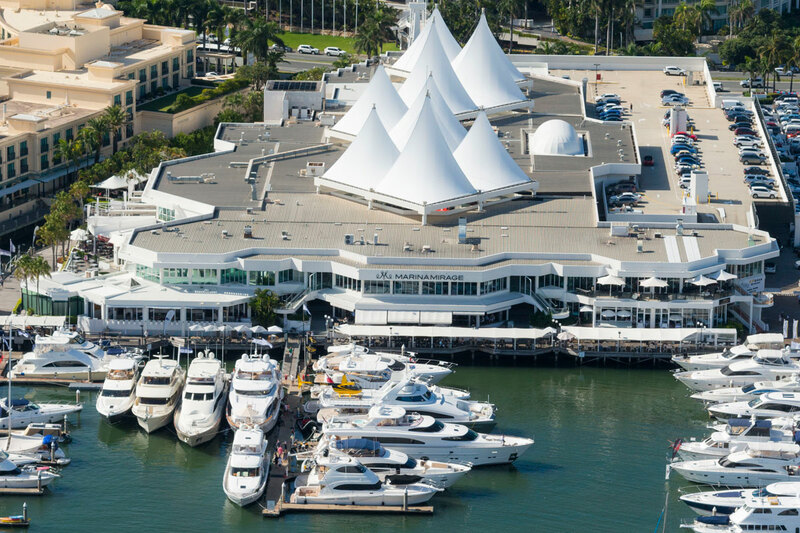 The Marina is located in a prime position adjoining Marina Mirage with its own office, and configured berths including a ski berth, transit berth and helipad. The Marina features five piers with pontoons providing flexible accommodation for boats of all sizes, with berth holders enjoying personalised service provided by an on-site manager, as well as water, electricity and fire hose reels for each site. AMT Marine Luxury Boat Brokerage, Geoff Lovett International, Gold Coast Helitours, Jet Boat Extreme, Circa II , Aki II , Sailing in Paradise, GC Cruises, and Paradise Fishing.